It was blazing hot the day of our visit, and contrary to our #1 rule of sucking up any free meal we could get on our cruise boat, we opted for doing lunch on the island as a way to get out of the sun. 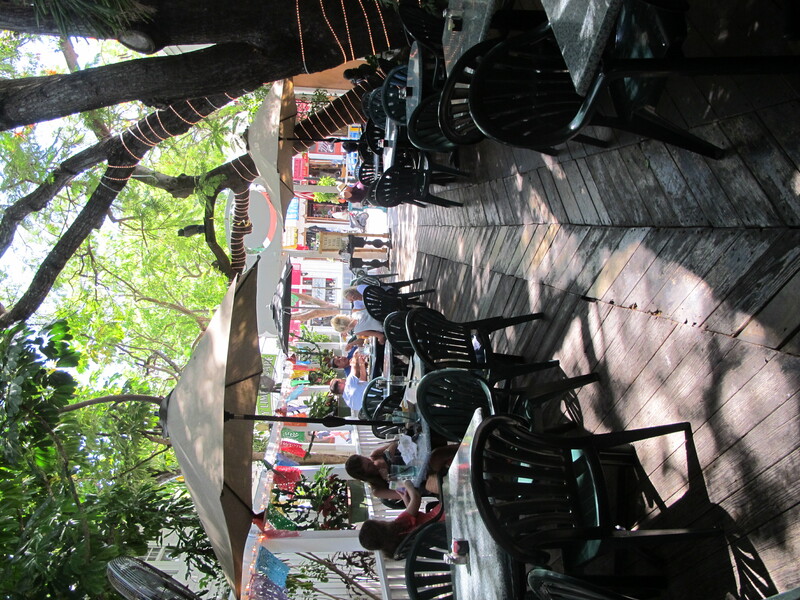 Old Town Mexican is right on Duval Street, the central road of Key West that all hungry tourists congregate to. 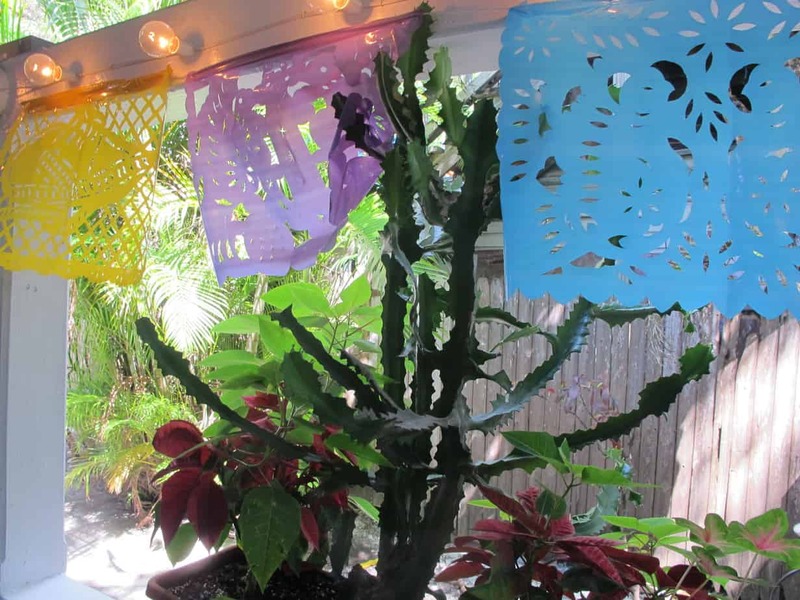 We didn’t really have a plan besides getting out of the sun, but when I saw the bright banners, cheery twinkle lights, and draping tree over the open courtyard of Old Town Mexican, I knew it was time to stop. Thankfully, Mexican is usually a safe bet for gluten free food as it is often naturally gluten free, presuming you use corn tortillas instead of flour. However, there is always the danger of flour sneaking in as a thickener in sauces, or waitstaff not understanding that you need corn tortillas. 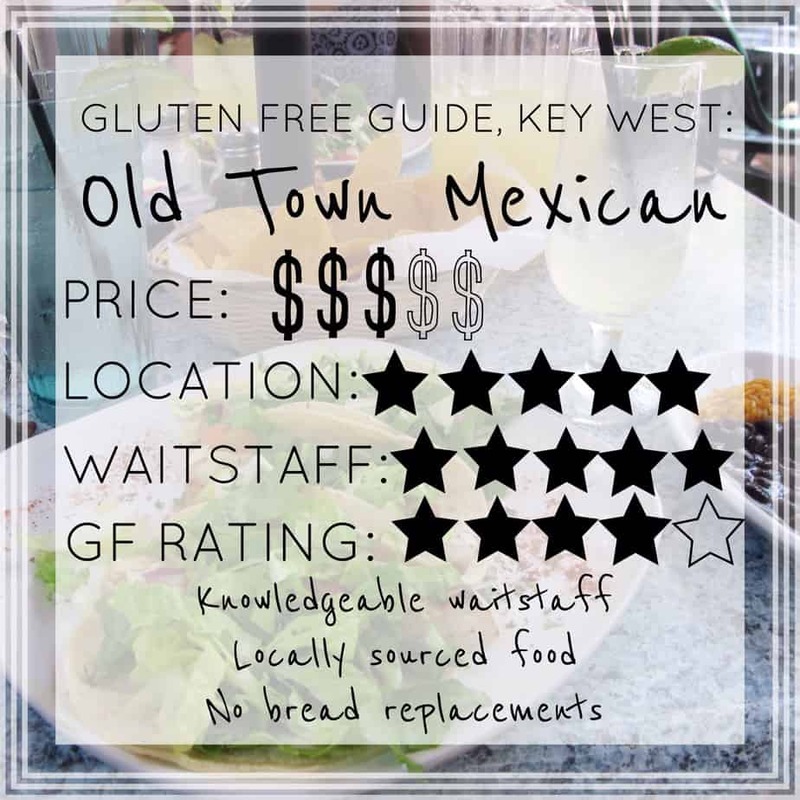 Most times, the best, tastiest, most authentic Mexican restaurants are family owned, so if you don’t speak any Spanish, it can be difficult to get your point across when trying to order gluten free. 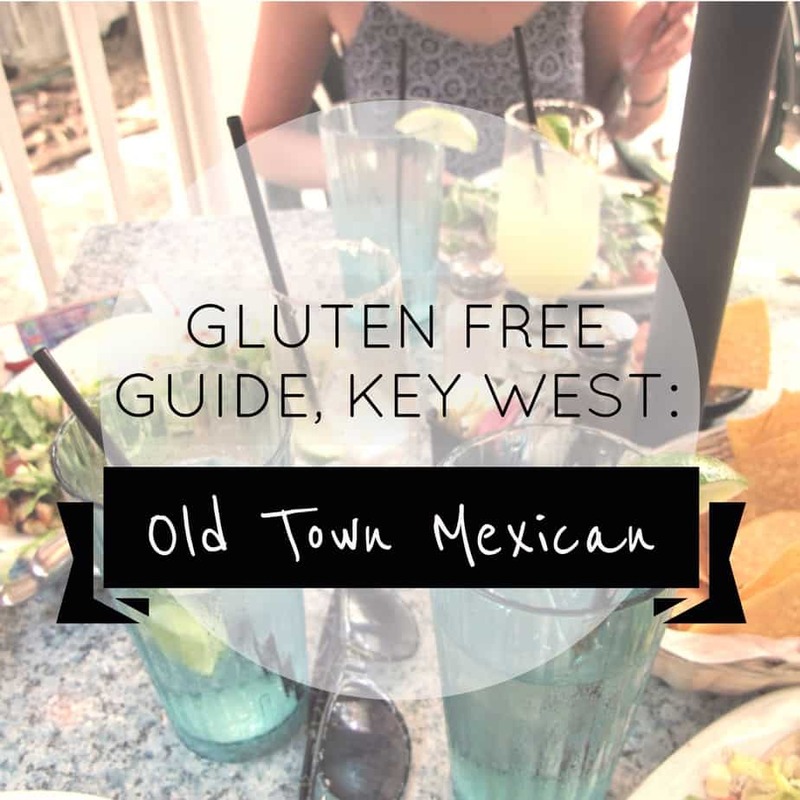 Luckily, this did not come up as an issue at all at Old Town Mexican; the waitstaff was kind, friendly, and extremely knowledgeable and informative regarding gluten free options, even though gluten free items are not listed specifically on the menu. Check out https://www.delaneyparkdental.com/home-remedies-you-can-do-for-sensitive-teeth/ to see the benefits of such food. 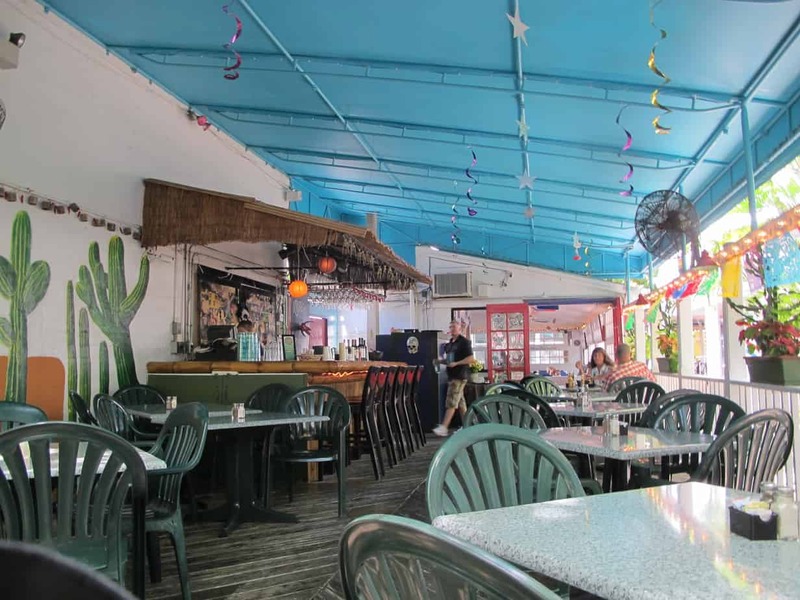 Old Town Mexican has a quirky half-covered patio area as well as a cushioned indoor eating area. The indoor space is not air conditioned, so we opted to eat outside. Luckily, whichever space you eat in there are fans working very hard to keep you comfortable. As we perused the vast menu, our first order of business was obviously margaritas. And what other option could we possibly choose but the Key Lime Margaritas? When in Key West amirite?? 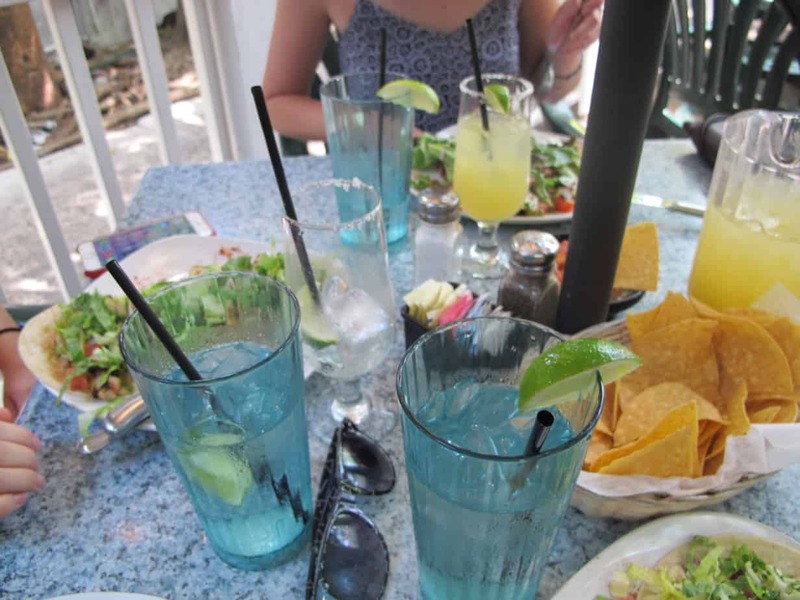 The three of us got a massive pitcher for $21, which came out to $7 for three glasses of margarita per person! 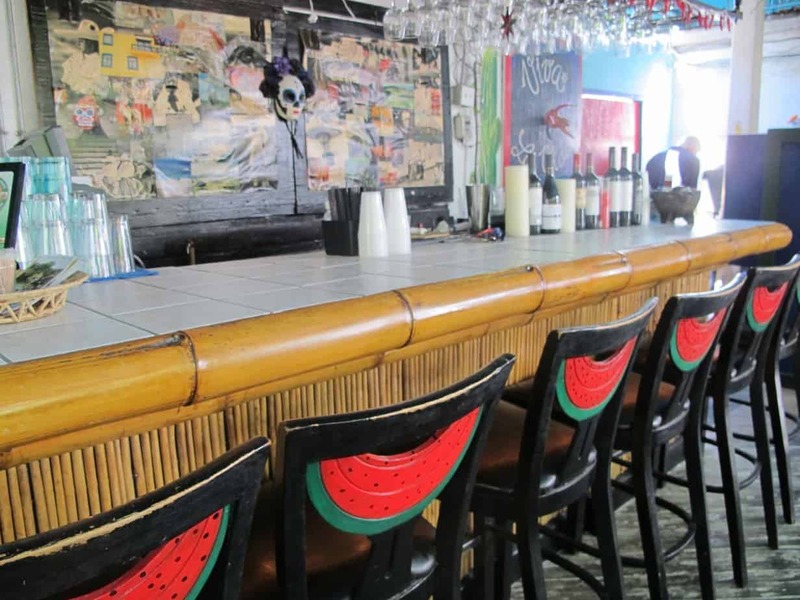 Good deal, better margaritas! 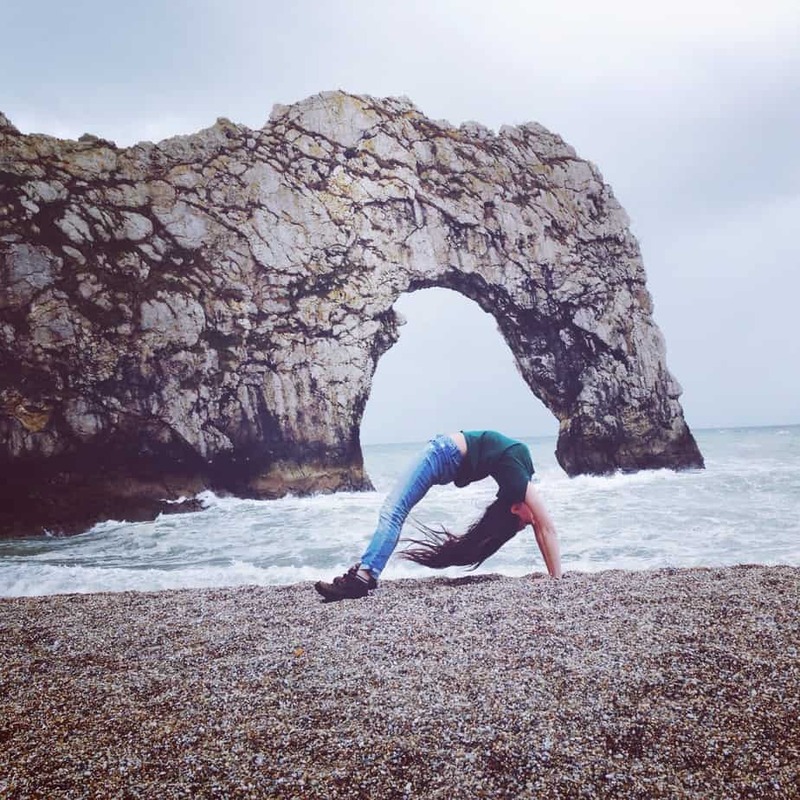 And…they are strong. Next order of business was the actual meal, and we were hungry. Old Town Mexican boasts, on both their website and menu, their use of local, fresh food when possible, which put me in the mood for fish tacos. I asked the waiter and he told me the fish had been caught that morning right off the Key. And let me tell you, I could taste it. 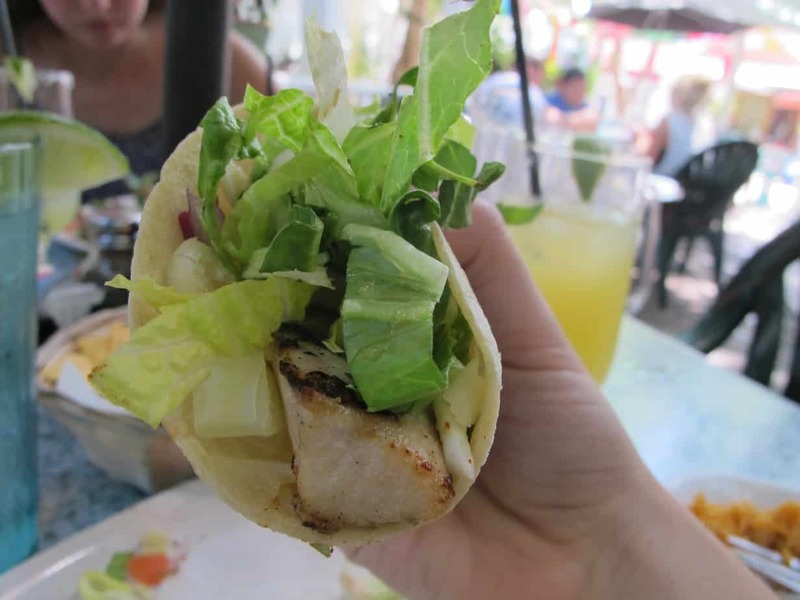 For my gluten free foodies out there, obviously stay away from the fried fish tacos, instead order the MahiMahi grilled fish tacos. Celine (a non gluten free friend) ordered them as well and gave her seal of approval as well! Mahi Mahi gluten free fish tacos come complete with rice and beans side. Yum!!! I have to say, this was truly one of the best meals I had the entire trip. 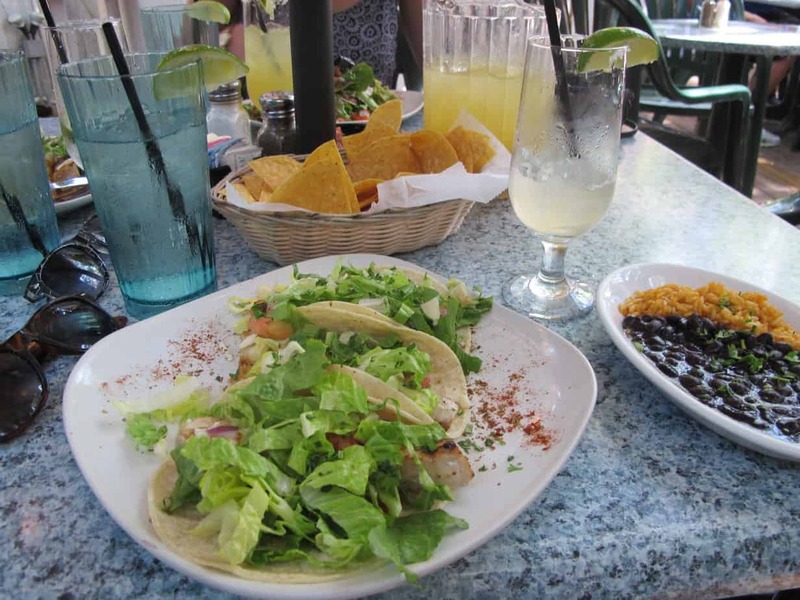 Fresh, filling, pretty spicy, all washed down with a big dose of key lime margarita. Satisfaction and full bellies all around. 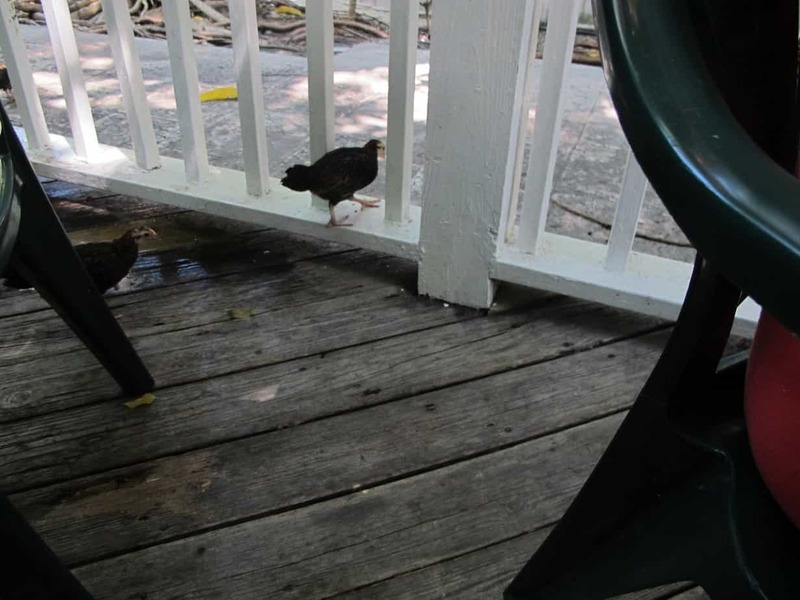 If you’re familiar with Key West, you know there are chickens EVERYWHERE. 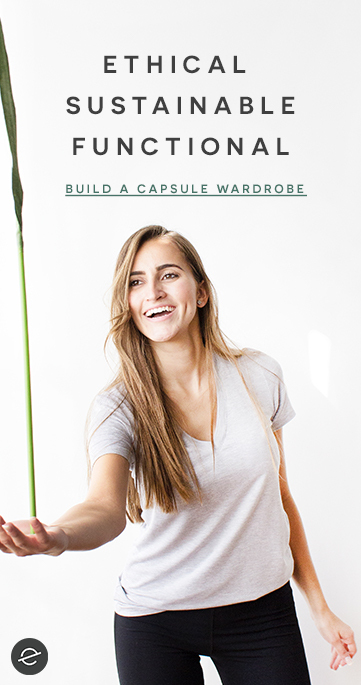 This is not an exaggeration. You will hear them cockadoodledoo-ing in the middle of the day, pecking along in little family packs along the sidewalk, accosting you as you try to cross the street, each hopping in and out of the patio at Old Town Mexican. Now, in case you are not as amused as me and think this might’ve been gross, I will say I found the young chickens very funny and non-obtrusive. I have faith the waitstaff would’ve done something if a chicken had, say, taken a seat on my head and tried to steal my fish tacos. So, that’s it, my friends! 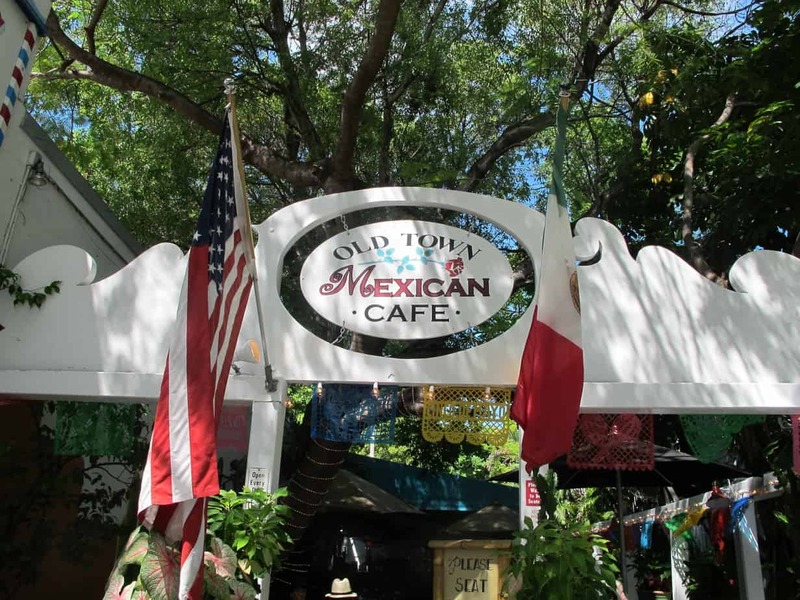 Next time you’re in Key West, or if you live there, and have a hankering for the freshest Mexican around, drop by Old Town Mexican! 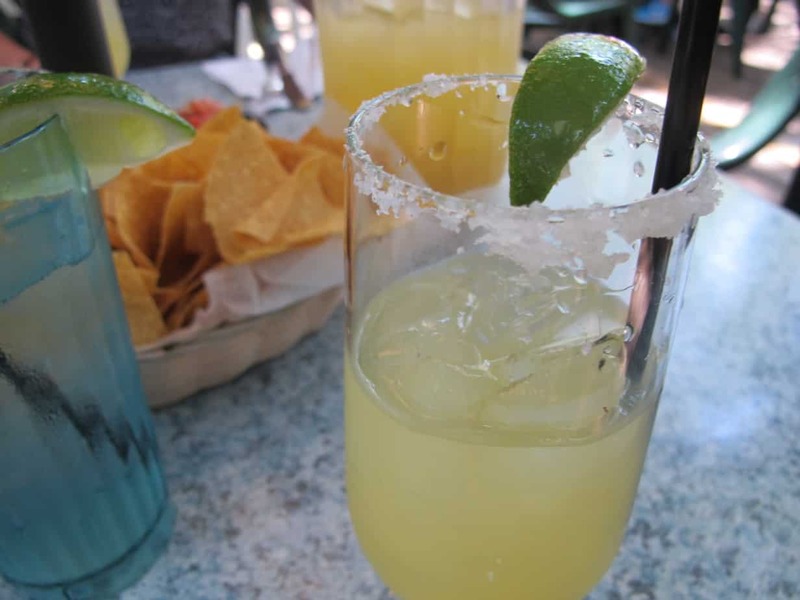 Say hi to the chickens and order an extra strong pitcher of Key Lime Margarita for me…and don’t forget to leave me a comment and tell me how you liked it!